Building a foundation of trust by treating our patients as unique individuals is vital to our success. We understand how uneasy some patients may feel about their dental visits, and how we can make a difference in providing a relaxing and positive experience. Our entire team is dedicated to providing you with excellent, personalized care and service to make your visits as comfortable and pleasant as possible. Our desire is to exceed expectations-every patient, every time. 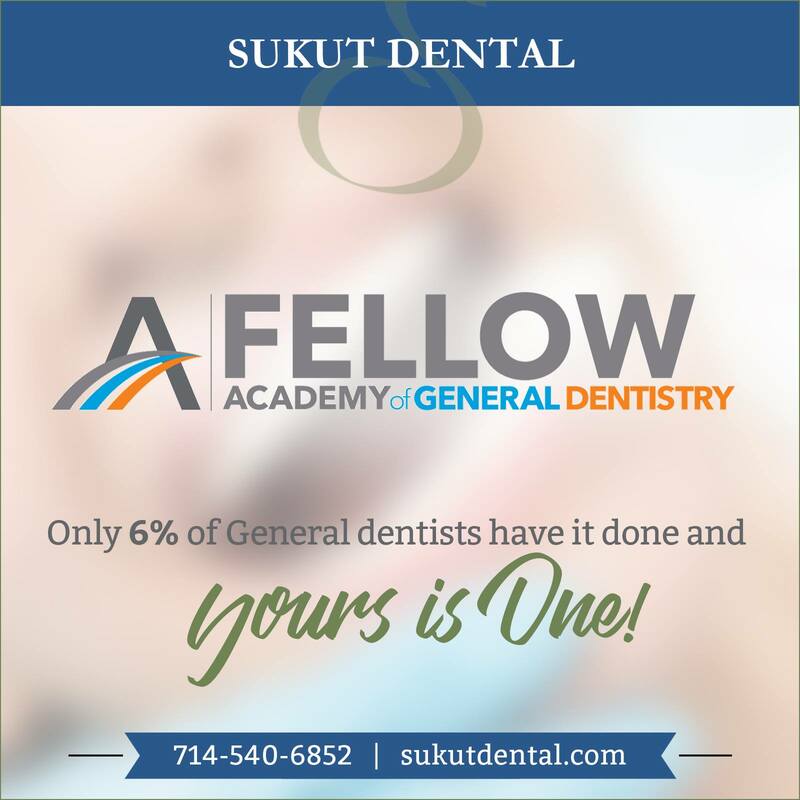 The Sukut Dental team is dedicated to making your experience safe and comfortable. We employ state-of-the-art infection control on all of our instruments and in our treatment rooms because delivering maximum protection is our minimum standard. We also understand that visiting the dentist can be difficult for some people. Whether it is a warm blanket and a comfortable chair, a favorite television program, relaxing music or a friendly face, we are committed to creating an outstanding dental experience. A warm smile and a friendly hello, something cool to drink and a light snack, a warm cup of coffee and a just discovered favorite book; each of these comforts await you in our reception area. In the treatment areas, a cozy blanket, a library of music, or a neck pillow are all ready for your use. Before you leave, freshen up in our patient comfort area. Our desire is to anticipate your needs and exceed your expectations. If you have special requirements, please let our team know when reserving an appointment. We will do our best to meet your needs. As a practice, we are true believers that preventative care and education are the keys to optimal dental health. We strive to provide “dental health care” rather than “disease care”. That’s why we focus on thorough exams – checking the overall health of your teeth and gums, performing oral cancer exams, and taking x-rays when necessary. We also know that routine cleanings, flossing, sealants, and fluoride are all helpful in preventing dental disease. Not only are we focused on the beauty of your smile, we’re also concerned about your health. A review of your medical history can help us stay informed of your overall health, any new medications, and any illnesses that may impact your dental health.